Taipei, Taiwan – July 11,2017– ADATA Technology, a leading manufacturer of high performance DRAM modules and NAND Flash products, today launched its XPG GAMMIX product series, first shown at Computex 2017. 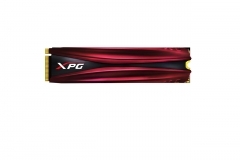 The debut consists of the GAMMIX S10 PCIe3x4 NVMe 1.2 M.2 2280 SSD, capable of 1800MB/s read and 850MB/s write thanks to premium 3D NAND in up to 1TB capacity. The S10 features a stylish heatsink for expedited heat dissipation. 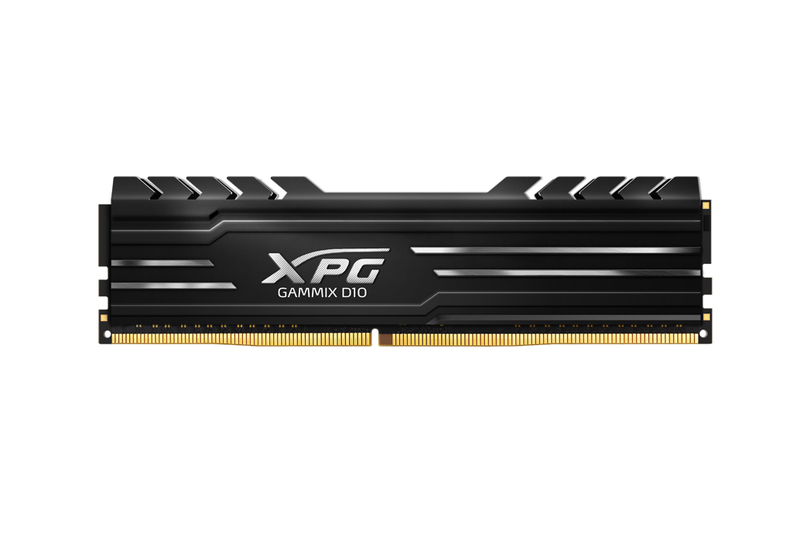 It is joined by GAMMIX D10 DDR4 memory modules, which likewise boast a custom heatshield to ensure lower temperatures and more stable performance. They are offed in black and red colors, and in up to 3000MHz factory speeds with a starting speed of 2666MHz on new Intel X299 motherboards. 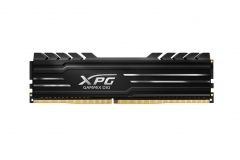 The GAMMIX line provides gamers, PC DIY enthusiasts, and overclockers with additional options that combine performance and design, stemming from the core XPG mission statement of ensuring better experiences. Red and black D10 DDR4 memory modules feature a black ADATA-made PCB and a custom XPG open top heatshield with serrated “teeth”, angled to evoke a sense of power and performance. At the same time, D10 modules are relatively low profile, allowing easier installs even in smaller or more cramped cases. Available in 2400MHz to 3000MHz, D10 modules use premium, carefully-sorted components for guaranteed quality and compatibility. On Intel X299 motherboards, fine-tuned SPD (serial presence detect) sets a 2666MHz base speed, compared to 2400MHz for the modules on other platforms. D10 module PCBs have 10-layers to eliminate interference and improve signal fidelity, plus the open top heatshield vastly improves dissipation for better stability when gaming and overclocking. Internally, a 2oz copper layer further enhances cooling. Coupled with Intel XMP 2.0 compatibility, cool and stable D10 modules offer considerable overclocking headroom. They ship with a lifetime warrant! 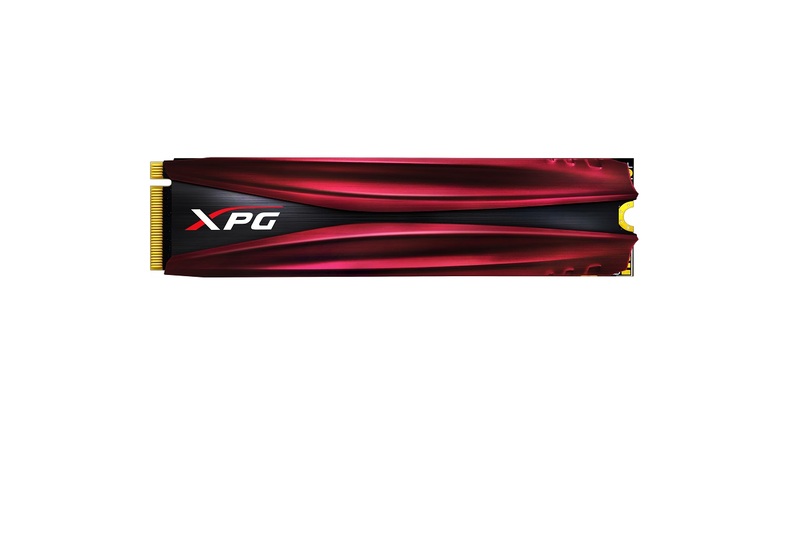 y, like all ADATA and XPG memory modules.